The S&P 500 Bullidex rose 4.35% to close at 139.5, signaling lower volatility and more rising stocks. The Bullidex hasn’t been this high since January, and with the March lows above the November levels, things continue to look good for the bulls. Year over year, despite the dramatic fall in the price of the S&P 500, the Bullidex shows little change (compare the ‘4’ in ’08 with the ‘4’ in ’09). This difference is a benefit of tracking volatility and bullish percentages versus price alone. 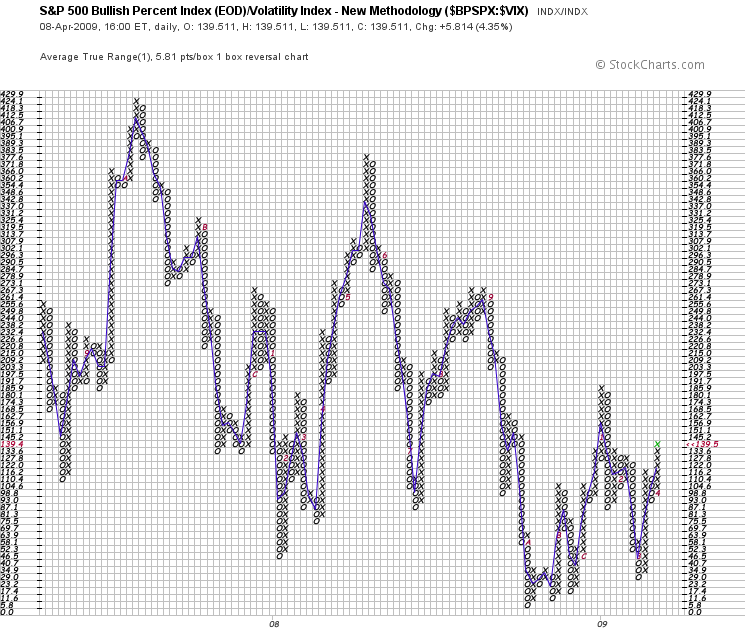 Market risk can change without a discernible shift in price, and the Bullidex reveals those fluctuations.